Happy Friday! I hope you have a stunning weekend ahead. I am so excited for the #BWB Durban meet happening tomorrow. What do you have planned? 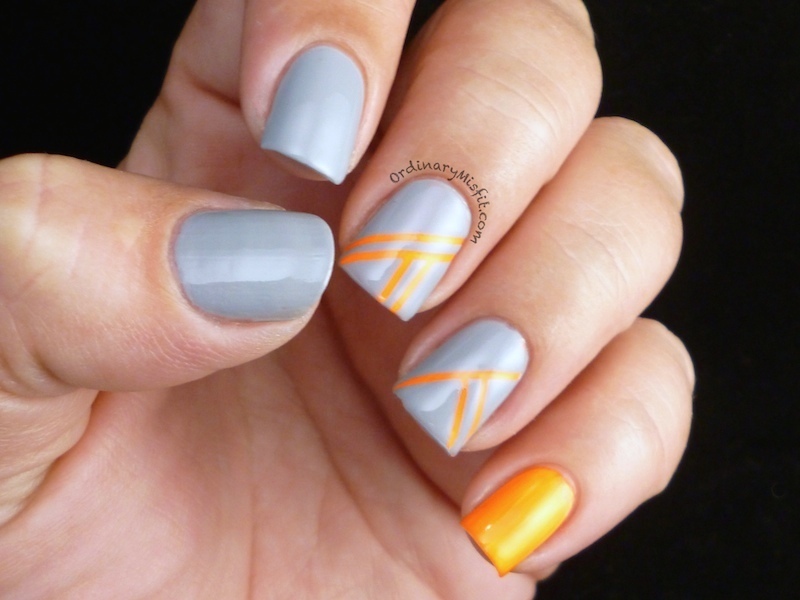 Since the minute I saw Thea from Madness nails’ grey and orange stripes that she did for the #MTVNailChallenge I knew I had to use that colour combination together. It was so unexpected but gorgeous that I haven’t been able to stop thinking about it. Of course mine are nowhere near as gorgeous as hers but I am definitely using this colour combination together again. Let me show you. I started off with 1 coat of Sinful Colors – Snow me white on my pinky, ring and middle, just to make the orange pop a bit more. I ten painted 2 coats of Sinful Colors – Summer peach over the white and waited for them to dry. On my index and thumb I painted 2 coats of Sinful Colors – Cool gray. Once the orange was dry I used striping tape in various angles on my ring and middle nails. 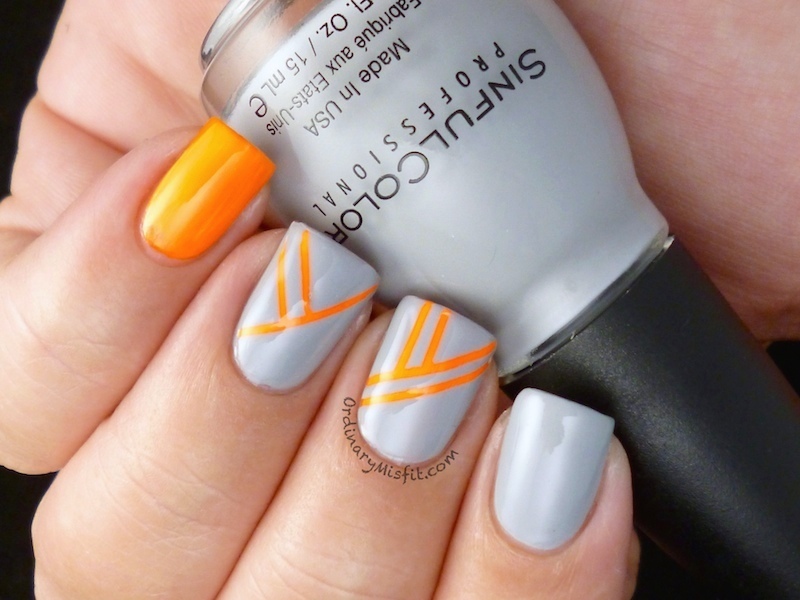 I then painted Sinful Colors – Cool gray over it and pulled off the tape immediately. Topcoated and done. What do you think? Do you also love the orange and grey together? Like I said, this doesn’t look nearly as gorgeous as Thea’s but now I that I have tried it once, I will do it again. Shut up. These are GORGEOUS!